It’s been quite a long time since my last post. Busy months didn’t allow me to think about Absolut world too much. So what’s new? New limited edition bottles appeared together with new city flavor. 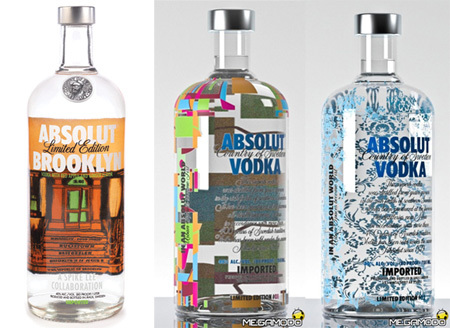 Let’s start with ABSOLUT BROOKLYN. It’s fourth city limited edition after New Orleans, Los Angeles and Boston. The flavor is red apple & ginger. More about the bottle can be found on AbsolutRegis.com forum. Other two limited edition bottles were produced in Italy where they started to sell them in March. The are called ABSOLUT WALLPAPER. One bottle designed by Gio Pagani and second one by Alessandro Guerriero. There should be only about 90 000 bottles made!